Filled with beautiful greenery, eucalyptus, curly willow and roses, this modern centerpiece looks fantastic on guest tables. 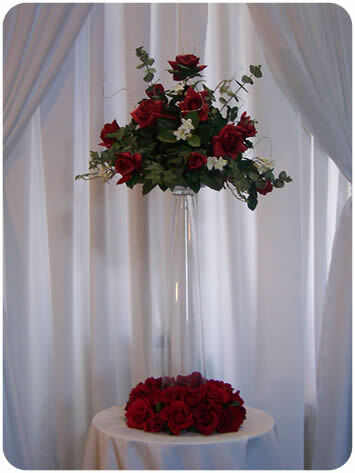 Design your "Jamie" with flowers to compliment your wedding colors. Be sure to add our matching honor table arrangement to your selection!